This might be a dedicated office space, where you are responsible for paying the utility bills, or it might be a shared office, where everything is included in the rent. However, there is one other option that many people rule out. Working from a home office is becoming an increasingly popular choice for many small business owners. You have all the comforts of your home and cut down your commute time. It can also help to significantly improve your work/life balance. So, why do so many people reject this route? A lack of space is a common reason that people decide not to work from home. Converting a spare bedroom into an office can have a huge impact on your household. Working from the kitchen table can be equally disruptive. This is why so many people are choosing to turn their disused gardens into attractive and cost-effective offices. 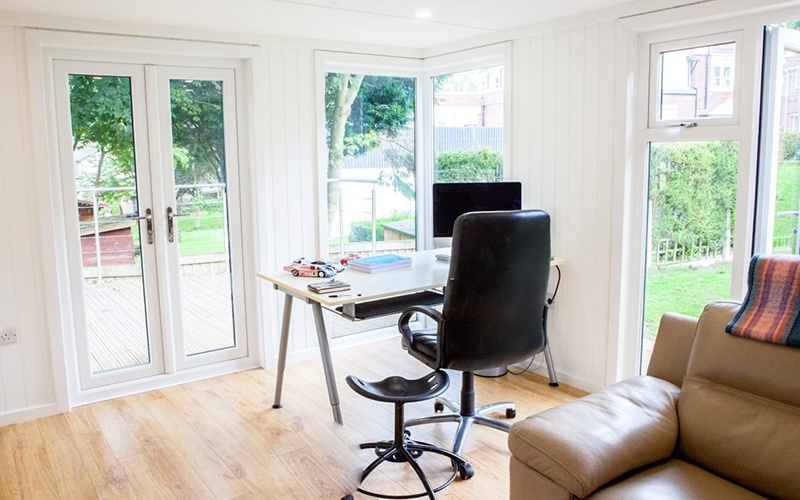 A wooden garden office is a great way to transform your garden into a versatile part of your work life. 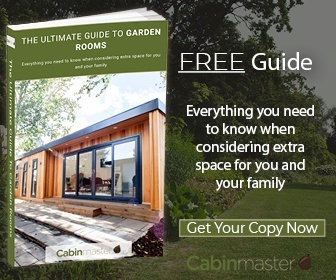 The biggest advantage of creating a home office in your garden is the reduced commute time. 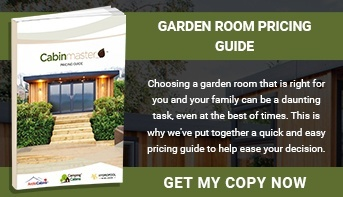 Your time is valuable, so if you can cut down your commute to little more than a stroll across the garden, your working day is guaranteed to be a lot more productive. You’ll also save on fuel or transport costs, and it’s much more environmentally friendly. Another popular reason to build a home office is to take advantage of the tax benefits. 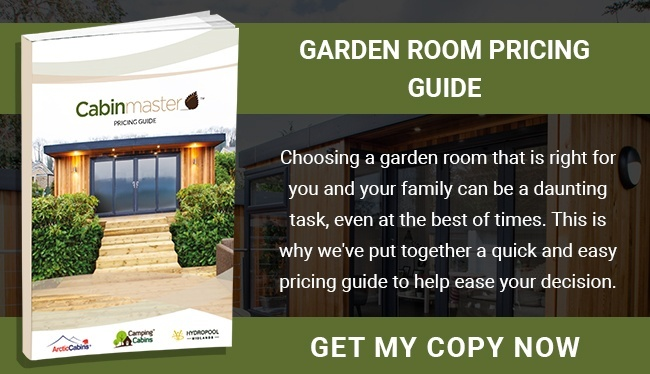 Our garden rooms start from as little as £10,000, and we offer flexible finance plans which can help to spread the cost. It’s also fully tax deductible. Why spend money on rent every month when you can spend money increasing the value of your own home? Most home offices are paid off after two years, so you are working rent-free after this time. The third and final advantage of a home office is that you can spend a lot more time with your family. You’ll also have the advantage of having your own kitchen close by, so you’ll never have to spend money on expensive and disappointing meal deals ever again. And finally, you’ll never miss a package that is due to be delivered! These might seem like tiny benefits, but these small steps can really improve your quality of living and allow you to enjoy life more. 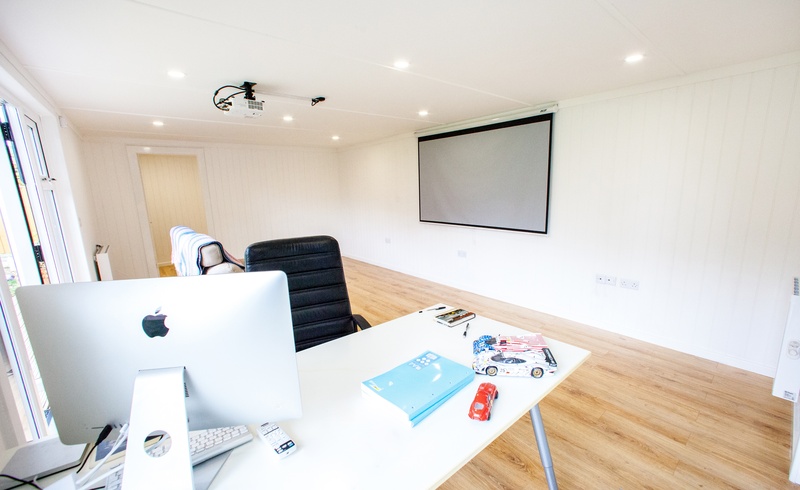 If you’d like to find out more about our garden offices, get in touch today!